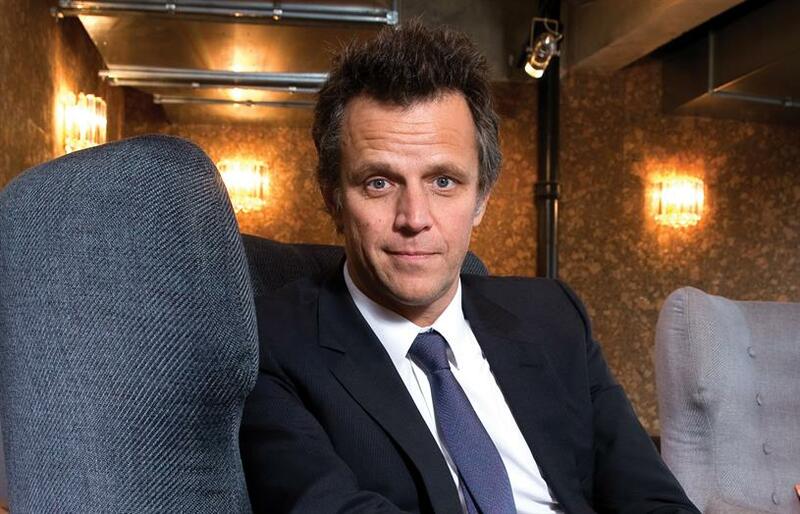 Speaking exclusively to Campaign, Sadoun set Publicis Groupe's full-year results in the context of the changing nature of the advertising business and the challenges facing the company. How would you describe the current climate for advertising holding companies? Close to what the music industry experienced 15 years ago. To continue the analogy, the question is: how fast can we shift our model from selling CDs to becoming a streaming platform? The equivalent of streaming services in our industry is without a doubt personalisation at scale. Advertisers are at a loss with the evolution of media and the speed at which change is happening. The good news is that, at Publicis, we are leading the pack, thanks to our expertise in connecting data, dynamic creativity and technology. Our new-business record over the past year, which has seen us ranked by institutions like JP Morgan and Goldman Sachs as number one in the industry, is the best proof of that. What do you think is the biggest threat to ad holding companies in 2019? Yesterday’s logic. Holding companies? At Publicis, we don’t know what a holding company is – we buried that in 2016, when we announced the "Power of one" and declared that holding companies are dead and that we will from then on work as one company. How are you responding to the trend towards in-housing? With open arms. We see in-housing as a complement to our services, as part of the bigger ecosystem. It is not a threat, as we have something that has significant value for our clients and that they can’t insource: creativity, alchemy, scale and diversity. Our clients can benefit from our leading position in the market (where, for example, we buy one media dollar out of three in the US), the breadth of our tools in data and technology and the diversity of our talent, in a way that would be impossible to achieve by going completely in-house. But this requires one very important thing on our side: continuing to invest to develop best-in-class capabilities and the winning model to help our clients put data at the core of their organisation. This is what we have done in 2018 and what we will continue to do in 2019. Has the media transparency question now largely been addressed for clients do you think? At Publicis, we have historically put trust and transparency at the core of ethical behavior. The trust of our clients is our biggest asset and we want to protect it at any price. These aren’t just words. We back them up with hard facts and clear actions. They are part of our culture as a second nature. We do not have any assets in media that could create a conflict of interest. We have a very small activity as a principal buyer, following strict rules decided with our clients who want these services. After the ANA [Association of National Advertisers] report, we went through more than 40 audits. We ended with a positive conclusion on 100% of them and, as result of that process, we have stronger relationships with our clients today. We are continuously improving our collaboration, providing proactive client education on business models, cost structures and make models opt-in. Our clients really appreciate this proactive approach and it plays a role in our success. What has been your biggest disappointment with Publicis Groupe’s performance over the past year and how are you addressing that? A pitch where we delivered a home run based on the teams, work and model, but where we lost at the finishing line for insane financial conditions that we absolutely could not accept. I should have seen it coming and not threw our teams into this kind of battle from the first day. It’s a lesson that will stay with me for the next time, as we won’t ever sacrifice the value of our work for growth. And what’s been your most surprising success? To be a bit provocative, I would say Marcel. We are having ups and downs on this ambitious project, but the ups make the entire journey really worth it. If I have to give two examples. First, thanks to Marcel, a junior digital Spanish team that had never stepped foot in the US (or a Walmart) created for Walmart what Time magazine named as the best campaign of the 2018 Oscars. Marcel also allowed us to demonstrate to GSK our commitment to transformation and show how we will leverage our talent for them. And you don’t need to take my word for it – GSK’s CMO publicly stated that Marcel was instrumental in our winning of the biggest pitch of 2018. When we talk to the people who work for your creative agencies, they are often pessimistic about their future within the group and feel that their agency has become part of an amorphous group offer. What do you think about that? The people you are talking to are partly wrong and partly right. Partly wrong because it is extremely important for us to strengthen the culture and uniqueness of our creative brands. This is definitely the case in the UK, where we have very strong leadership at Saatchi & Saatchi, Leo Burnett, Publicis and BBH. But they’re also partly right, because I am convinced our creative agencies need to be more integrated into the group to leverage and benefit from the outstanding assets we have. It is the only way to truly put data at the core of their processes and use technology to deliver personalisation at scale. So, to the pessimists, I would say, continue to find magic ideas, use the group resources to make them right (thanks to data) and make them work (thanks to technology). I know, it is quite a challenge. Change is always personal and it’s only human to worry about it. But we have no other alternative, as we won’t get better by doing the same thing in a world that is moving so fast. We should never forget that our raison d’être is to help our clients growing in a difficult world. Do you think that your creative agencies are still each distinct from one another and, if so, how would you define the uniqueness of each one? You’ve identified one of the biggest issues they face. Right now, the majority of the creative agencies in the industry are built on the same legacy model that is built around narrow broadcast-centric capabilities. I’d like to think that our group's "Power of one" approach has given us a head start at creating agency brands that are distinctive enough to be complementary and not redundant. It’s what Nick Law [chief creative officer] is helping to shape with his incredible leadership and breadth of experience. Are the different divisions now working seamlessly to offer integration? If not, what’s the next step? Clients increasingly want media and creative working together – is that happening seamlessly enough? Yes, clients want integration, as marketing fragmentation is their biggest risk today. At Publicis, it's not just seamless, it’s become behavioral. Thanks to the vision of Maurice Lévy, we’re now several years into the inter-operating practice of our agency brands in service of different clients. We’ve experimented. We’ve made mistakes. We’ve optimised. Now we do. It is a part of who we are, how we work. It is almost instinctive. For example, we may get a strictly creative pitch, it is only natural to include data and media in our solution… and vice versa. For years, the advertising holding companies mostly grew by acquisition. Is that era over now? if not, what areas would you still be interested in buying businesses in? If it is over, what are the remaining levers of growth? We are not interested in acquisitions for the sake of size. The race for size is over; we are now in a race for transformation. We have the winning model connecting data, dynamic creativity and technology. These three game-changers are growing today at 30% and are at the core of all of our new-business success. So, to be clear, the faster we scale our expertise, the faster we transform Publicis. That being said, we don’t reject acquisitions per se; we are disciplined, selective and acquire mostly bolt-on or operations where we lack critical mass. If you weren’t already running a holding company, is it still a job that you would covet or would you be looking to make your name in another industry? Honestly, my job is tougher than I expected, but I wouldn’t change places with anyone. It is a huge honour to lead Publicis Groupe after Marcel Bleustein-Blanchet and Maurice Lévy. I am surrounded by partners that I admire and love. And I am convinced that we are building the model of the future, despite the headwinds and the pessimism we are encountering. Last but not least, I have been incredibly lucky to work in the creative industry for the last 20 years. This industry is now being challenged and I think it is our duty to transform it to continue to demonstrate the value breakthrough ideas can bring to clients. There’s nowhere better than Publicis to make this demonstration and to lead the change in our market.